Bit Plastics started its operation in 2010 and has experienced tremendous growth over the past few years. Through our professional delivery of quality products at a competitive price, we are proud to manage in our portfolio customers such as Makro, Ceres, and many other FMCG companies. The main objective of BitPlastic is to offer a product that is more hygienic and durable, with a longer life span and continuing to be easier to handle when compared to its heavier rivals. As we know wooden pallets, once they get wet become heavy and cumbersome to handle thus from the start of your process, you the client, already start saving on transport costs. 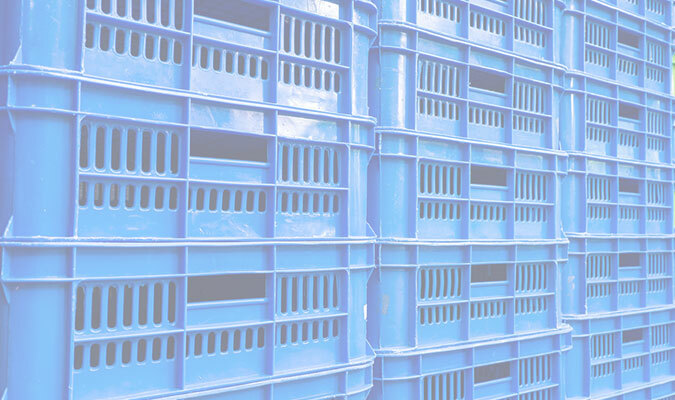 Our products (Pallets, Collapsible Crates and Chairs) are contamination free and are completely made of virgin plastic, insects cannot get bore through it, again fumigation costs are avoided when exporting, thus saving time and money, making the clearing process simpler. We are proud to state that our products (Pallets, Collapsible Crates and Chairs) have all been approved by SABS - South African Bureau of Standards - , guaranteeing our clients the stringiest of qualities. Bit Plastics aims to be a costing saver partner for most of the FMCG as well as OEM's suppliers and as we slowly ascertain our space in the market, our products are fast becoming a household name, synonym of quality, cost effectiveness and durability. By continually sourcing prime materials both locally and internationally, Bit Plastics strive to ensure that the cost of our products prices remain competitive in the market, always focusing in our main objective of establishing long term relationships with our customers and assisting them in developing their business. We would like to take this opportunity to thank all our existing clients for the support and loyalty which they have shown us over this period and would like to assure them that we will always do our best to support them in future and existing endeavours. For our prospective customers, our continuous effort to improve on our products and service delivery is a guarantee which we our pride to abide by.Welcome to the world of plastics… of Bit Plastics! !